Short Hair, Don’t Care…But What to Wear? So, guys, I’ve cut my hair off again! As loyal readers know (and by the way, thanks for being a loyal reader) I started growing my hair out a little under two years ago – after a lot of different styles during the growing-out phase I got into full-bob territory by mid-May, just in time for the wedding. In addition to getting married, at the end of spring/start of summer I also completed my first semester of my MBA and started a new job. As I am wont to do during times of great transition, I found myself wanting a new look – and missing my pixie cut. My co-blogger can attest that I went from “should I do it?” to “I’m going to do it” in about fifteen seconds. And you guys, it’s like a thousand pounds have come off the top of my head, and I love every second of it. 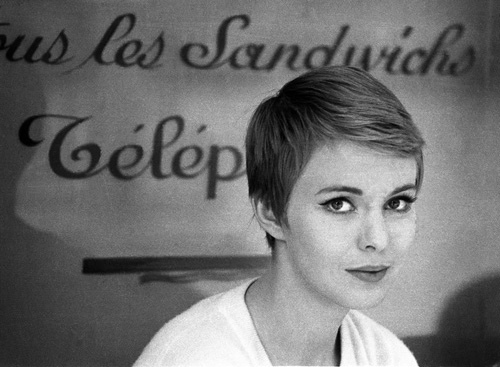 Gamine, per Google’s dictionary feature, means “characteristic of or relating to a girl with mischievous or boyish charm.” With a pixie cut, then, this is going to be your most iconic look – think Hepburn, think Seberg, or more recently, think Tautou. This look, all about masculine pieces in feminine silhouettes, is classically carefree, in streamlined cuts and few patterns. 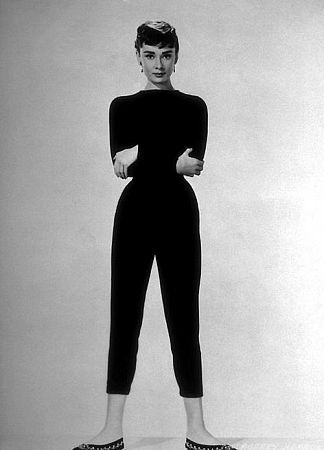 I like a stretchy ankle pant with a looser-fitting top and a ballet flat. A pair of stud earrings and a cross-body bag will be all the accessorizing you need. Keep the makeup simple with this one – a pearlescent shadow, a touch of blush, and a natural lip. If you feel like going full Audrey, play up your brows. Another option, given the fact that you’ve gone a bit andro with the hair, is to create stark contrast using your outfits: think lace, full skirts, and soft materials and colors. I find myself much more comfortable in extremely feminine clothing when my hair is close-cropped, in part because the short hair adds a bit of age and edge in an outfit that, on an already-short lady like me, can easily make me look a bit juvenile. If you’re going to swing femme with your look, I recommend throwing in a few angles where you can – a pointy shoe, or a structured bag, or a piece of jewelry with a bit of a spike to it. For this look I’d play up my makeup a bit more, either with a more dramatic eye or a berry lip. Short hair is also, by its nature, an edgy hair choice. So why not embrace it? This look is all about black leather. If you prefer brown to black, you’ll want to change the shape of your jeans to a flare – think 1970s rock and roll versus 1950s, as a baseline – but the rest of the look (stacked heels, almost-cropped jacket, relaxed tee) can stay the same. You can go as bold or as neutral as you want with your makeup. By no means are these categories meant to be comprehensive, nor are they intended to be something you should stick with – these are just the looks with which I’ve had great success as a short-haired lady. Try one, try all three, try something else. Though: I’d warn against going too normcore, which can veer into Patty Chase territory (she’s a great character, but “1990s TV mom” isn’t a look I’m going for, ever). But, girl, you do you. Got a pixie? Share your favorite looks in the comments section!